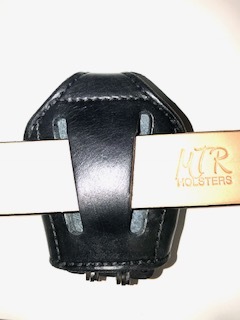 Our all leather handcuff carrier can be used with most peerless handcuffs. 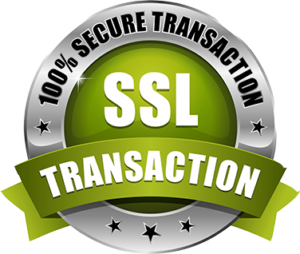 We offer this carrier for hinged handcuffs and chained handcuffs. We only use top quality materials for durability. 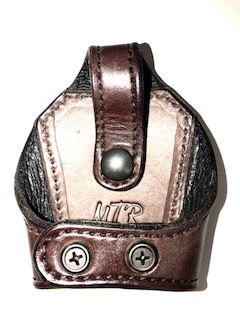 The handcuff carrier has heavy duty nylon thread, top grain leather, and hand molded out. 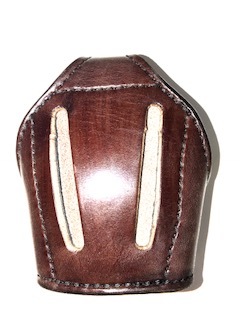 This is will enable a nice tight fit and will insure your handcuff in place. 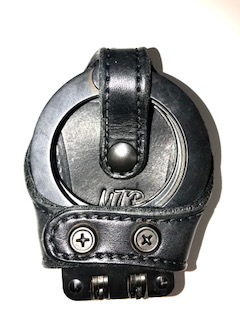 The handcuff case can be attached to the waist by the choice of a flap with a directional military snap, black powder coated holster clip or a sewn belt loup. 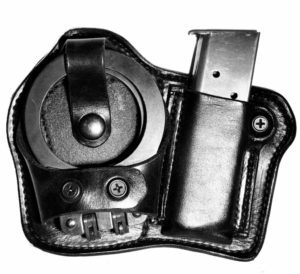 The belt slots/snap/clip can fit up to 1-1/2 gunbelt(2 layer) or 1-3/4 regular belt (1 layer). 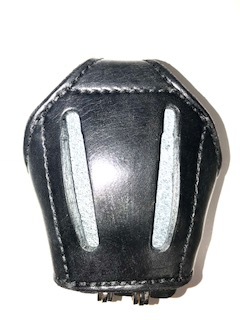 You can specified at check out in the comment box how you would like your attachment to be and if you have a 2″ duty belt as well or a different size width. 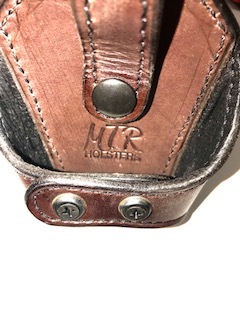 Keep in mind that the powder coated black holster clip and not be made to fit any belt width other than what is already specified. 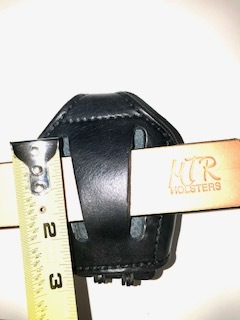 We can custom fit the size of the snap and sewn belt loop to any belt width size.